During basketball’s first full year, 1892, the game took off faster than anyone could make up a coherent set of rules. James Naismith, the game’s inventor, had created a brief list of instructions, which left a lot of room for interpretation. Anywhere between 10 and 20 players might take the court at the same time, and there was basically zero offensive strategy, which meant many contests were just an endless scrum for possession of the ball. In various places where the new game was played, rules were concocted to bring a sense of order to the competition—including limiting players to zones marked off on the court. A player leaving his zone would be whistled for a foul. It took a pair of soccer players in Trenton to open up basketball. In 1893, Al Bratton and Fred Cooper (right) started playing basketball and instantly recognized that the planned, methodical passing they did with their feet on grass could be accomplished with their hands on the hardwood. At first, they simply passed to each other, sending a cartoonish mob of defenders scrambling back and forth as they worked the ball closer and closer to the basket. Soon, their Trenton YMCA teammates joined in the playmaking; the game opened up, the pace quickened, and scoring soared. The Trenton team was recognized as the most advanced in the country, and fans came out in droves to watch Cooper, Bratton & Co. play. In early 1894, the Trenton Y vanquished the undefeated 23rd St. YMCA team from New York to claim the “world” championship. 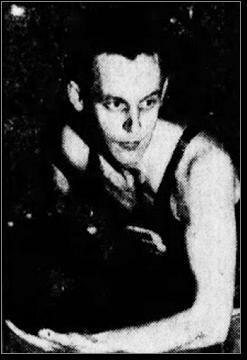 Other names on the Trenton roster included Pop Brower, Sid Smith, Charlie Hodge, Harry Bates, Will Fenton and W.J. Davidson. 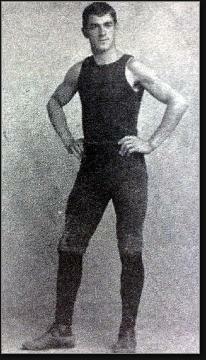 Cooper designed the team’s uniform, which included tights and velvet shorts. The Trenton Tigers are listed as the champions of the American Basketball League for the 1946-47 season. They were indeed the last team standing in the playoffs that spring, but their title probably deserves an asterisk. It certainly begs an explanation. The ’46–’47 campaign was a wild one for pro basketball. The decade-old National Basketball League fielded 12 teams and crowned the Chicago American Gears as its champion. The newly formed Basketball Association of America struggled through its inaugural campaign with a lack of big-name players and—with the exception of the New York Knicks and Philadelphia Warriors—a ton of empty seats. The Warriors won the first BAA title but shortly thereafter four of the league’s 11 teams folded. The American Basketball League, four years older than the NBL but considered a notch below, fielded 10 clubs in the fall of 1946, including five in New Jersey. The league struggled to compete and two clubs didn’t make it to the end of the schedule. As for the Tigers, Chilly Edelstein, Eddie Boyle (right) and Al Schneider led a well-balanced Trenton team, which included future NBA referee Norm Drucker. The Tigers finished the year with a sub-.500 record, but still qualified for the postseason. They prevailed in their opening playoff round, defeating the Elizabeth Braves. The Tigers then upset the Philadelphia SPHAs in a best-of-three series, winning the deciding game 48–46. On the other side of the ABL draw were the Baltimore Bullets, led by future Hall of Famer Buddy Jeannette and high-scoring Mike Bloom, who cruised through their series with the Brooklyn Gothams to reach the finals. The ABL championship series happened to coincide with the World Professional Basketball Tournament, which played to packed houses in Chicago Stadium. The Bullets calculated that their cut of the gate—particularly if they made it out of the first round—would dwarf their earnings from the ABL finals. So Jeannette and his crew boarded a train to the Windy City and never looked back. The Tigers rightfully claimed the league championship without breaking a sweat. They were awarded the title by forfeit. As for the Bullets, they drew the Tri-Cities Blackhawks (distant forerunner of the Atlanta Hawks) and fell 57–46. The following season, the Trenton Tigers went 17–15 but lost in the opening round of the playoffs. 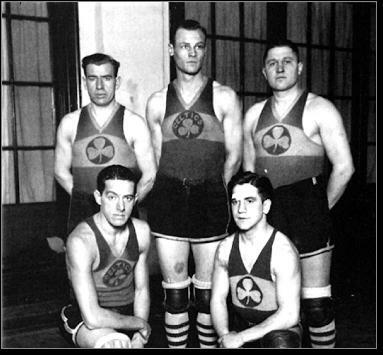 They continued to play winning basketball until the team folded during the 1949–50 season. Six decades before Donald Trump left his impetuous imprint on Atlantic City, a newspaperman named Marvin Riley (right) fired every member of a future Hall of Fame basketball team. The year was 1922, the bootleg liquor flowed freely along the Jersey Shore, and professional basketball was still in its freewheeling wildcat days. The unquestioned class of the hoops universe were the New York Celtics—a team owned by entrepreneur Jim Furey that featured such immortals as Nat Holman, Joe Lapchick, Benny Borgmann, Honey Russell, Barney Sedran and Tom Barlow. In Ferbuary, the Celtics decided to jump from the Metropolitan League (where they were 12–0) to the Eastern League, which promised better competition and fatter revenues. To do so, the Celtics had to swap uniforms and become the Atlantic City Sandpipers. The owners of the Sandpipers agreed to pay Furey and his players $900 a week, with two-thirds of that amount split between the players. The Celtics/Sandpipers played their home games in an arena at the famous Steel Pier. As expected, they continued rolling over the competition. But to the chagrin of their new owners, the more the team won, the fewer tickets they sold. Apparently, Atlantic City tourists wanted close, exciting games, not blowouts. After three weeks, just before Christmas, the team was sold to the aforementioned Marvin Riley. Riley’s present to his new team was a salary hit from $900 a week to $400. The players refused to take the paycut. So Riley fired the entire team! Riley was no basketball neophyte. 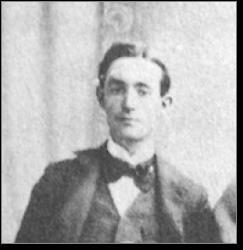 On the contrary, he was among the individuals who brought the game to the Garden State in 1892. A Trenton newspaper writer, he spent the next quarter-century moonlighting as a highly respected referee—often for a percentage of the gate—and so pocketed as much from officiating games as writing about them. Riley knew where to dig up local talent. He hired new players for the Sandpipers and announced that he would coach the club himself. After three games (all losses), Riley gave up and the club folded. The Eastern League itself limped through the first two weeks of 1923 before disbanding. As for the Celtics, they became a barnstorming club after that. Their record for 1922-23—including the stints in the Metropolitan and Eastern Leagues—was 193–11, with one game declared a tie. Furey estimated that his club performed for close to a million people that season—including a crowd of 23,000 in Cleveland. The Celtics would go on to revolutionize team play and bridge the pioneer and modern eras of basketball. The blowback was immediate. 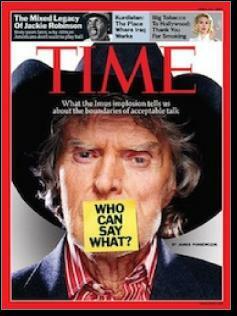 Junior Essence Carson, a Paterson schoolgirl legend, said that Imus had “stolen a moment of pure grace from us. “"I would like to express our team's great hurt, anger and disgust toward the words of Mr. Don Imus," she stated. "We are highly angered at his remarks but deeply saddened with the racial characterization they entailed." "Our moment was taken away,” added Heather Zurich. “Our moment to celebrate our success, our moment to realize how far we had come, both on and off the court, as young women. We were stripped of this moment by degrading comments..."
"I achieve a lot,” said Kia Vaughn. “Unless they have given this name of ho a new definition, then that is not what I am." CBS suspended Imus for two weeks immediately after the incident, but as the uproar over his comments grew, the network eventually fired him.